an organization of volunteer emergency workers who have received specific training in basic disaster response skills, and who agree to supplement existing emergency responders in the event of a major disaster. 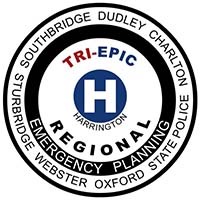 Sometimes programs and organizations take different names, such as Neighborhood Emergency Response Team (NERT), or Neighborhood Emergency Team (NET). For information about the CERT contact the Emergency Management Director for your Town.